We will come to you or you can come to us. Our newest location at 22216 N 23rd Ave Phoenix AZ 85027 is open daily. Either way we hand you money for your car. We’re interested in purchasing all types of vehicles, any year and in any condition. Sedans, compacts, Pick-ups, convertibles, classics and collectible cars are among some of the types of cars we buy. 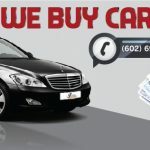 Give us a call and we can give you a quote on your car now 602.696.4570. 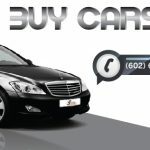 We buy cars in Phoenix AZ whether they are in perfect condition or have been in an accident. We buy vehicles that are “mechanically challenged” and even cars that have a salvage title. Instead of keeping an eyesore sitting on the driveway, get cash for your car and we will even tow it away for free.